Regular maintenance and service is the best way to ensure that your Porsche vehicle continues to perform like the day it was new. At Porsche of Ann Arbor, our state-of-the-art Service Center is equipped with the latest diagnostic tools and repair equipment necessary to give your Porsche the attention it deserves. In addition, we have a full staff of factory-trained Porsche technicians who have the knowledge and expertise to handle all of your service needs. Since you want to give your new Porsche the best care, we recommend the Porsche Scheduled Maintenance Plan. You’ll have the ability to manage your recommended scheduled maintenance with a convenient prepayment. Enjoy peace of mind from knowing that scheduled maintenance for your Porsche will be completed for the term your choose, without any unexpected expenses. Flexibility — Even if you’re far away from home, there’s no need to worry. Under the Porsche Scheduled Maintenance Plan, your routine maintenance can be performed at any authorized Porsche dealer across the United States. Quality — All repairs and replacements will be completed using Genuine Porsche parts. 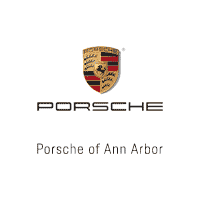 Confidence — When having your Porsche serviced at Porsche of Ann Arbor, you’ll be able to drive with complete confidence from knowing our team of expert factory-trained technicians will give your vehicle the care and attention it needs. Value — In many cases, you’ll notice considerable savings over the life of your Porsche Scheduled Maintenance Plan, compared to paying individually for maintenance services as you go. Cost-Certainty — For all routine maintenance covered under the Porsche Scheduled Maintenance Plan, you’ll drive worry-free from not having to worry about how much a service will cost during the term of your plan.